I wish I had known I had other options for upholstery colors before I painted my cab interior. Looking now for additional roof details I might add. There appears to be some sort of roof mounted storage box on this truck. What those triangular support plates at the driver's side rear might be I cannot imagine. 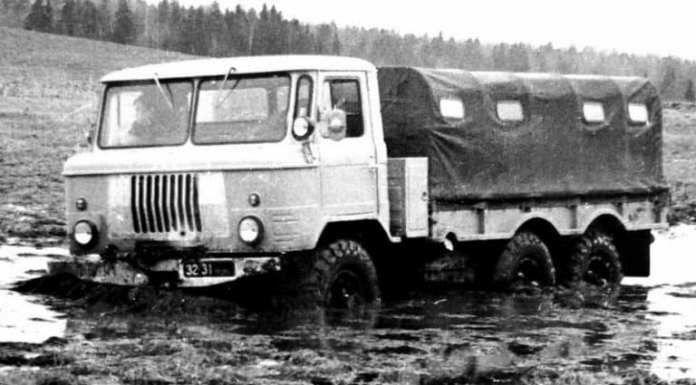 In the photo above the truck has a number of tie down points for the guy wires supporting the various satellite antennae. 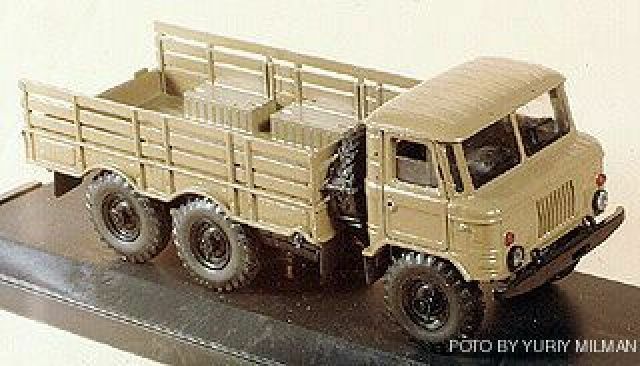 Interestingly enough, out of the blue, fate has dropped yet another Trumpeter GAZ-66 model into my lap. 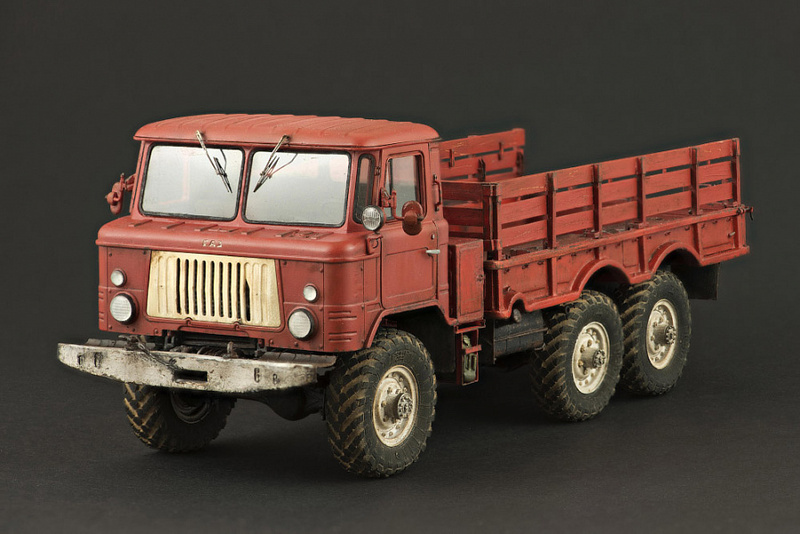 I was going to resist the tempation but it seems fate had decreed that I will be building the experimental (concept version) of the GAZ 6x6 truck identified as the GAZ-34. 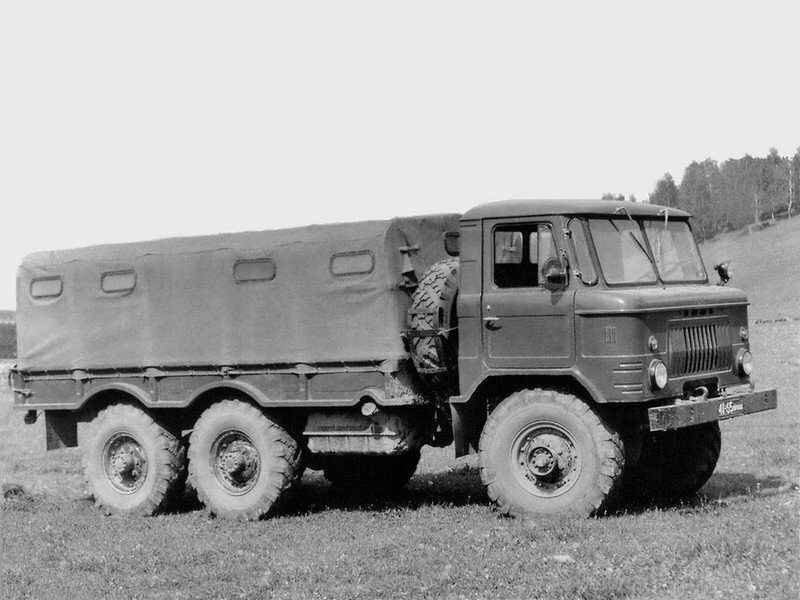 Any further reference info on this rather rare vehicle would be appreciated. Until just this past evening I had only ever seen this vehicle in toy form. But as to the drive line; that threw me a real curve indicating that the rear drive shaft went through a frame mounted pillow bearing on its way to the back axle. Then Angel added the link to the other model and things became more clear. 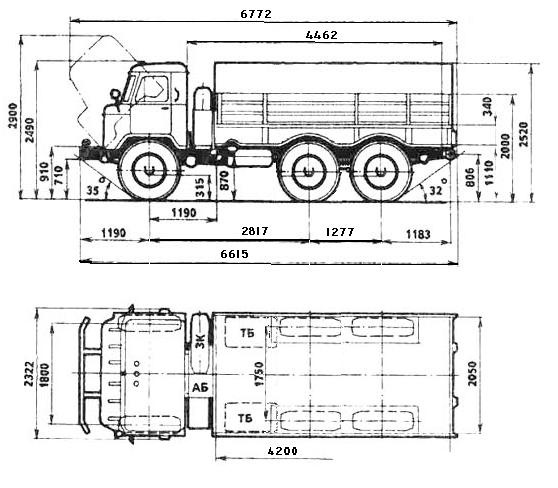 Those photos indicate that the GAZ designers used what is known as an "up and over" arrangement where the rear driveshaft goes through a pillow bearing block actually mounted directly onto the #2 axle. Again much like the GM Deuce. Some of the body work on the loadbox might be a little more challenging but with my spares box of Deuce and a Half parts the drive line I can handle. 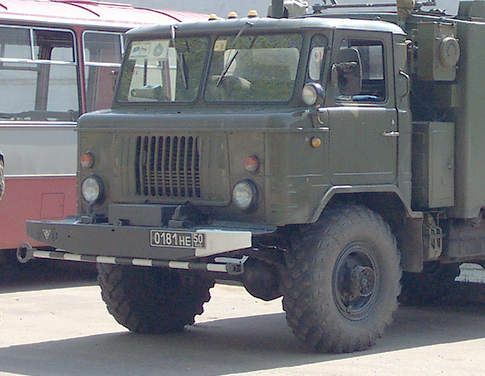 PTO and power transmission to rear axles(fifth driveshaft) were taken from ZIL-157. Boy, zoom in close on the guy's modeling of their brake lines and the differentials have all the proper construction welds. 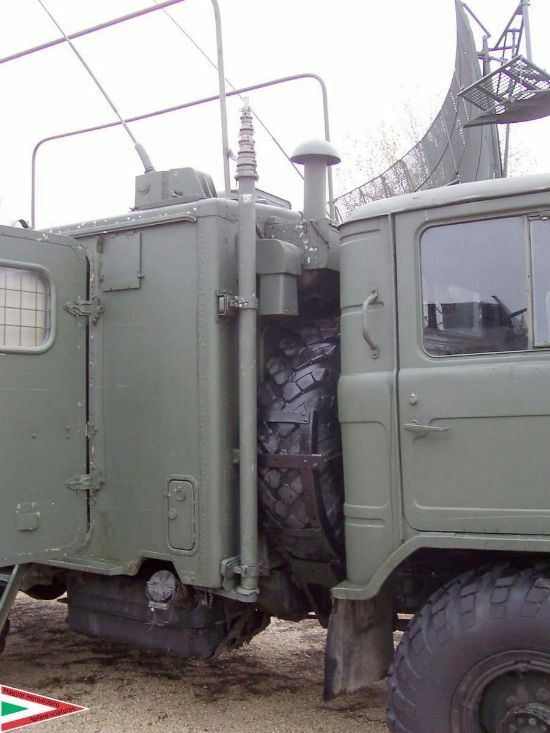 Big truck builder's are more like "system integrators" than builder's. They probably manufacture the frame but everything else comes from anywhere they can find the usable parts. Bye the way Angel I am guessing the GAZ has air over oil actuated brakes??? There is a air pump on the engine and we have these big air actuators spread all over the vehicle chassis. The early 66's only had one acuator but appearently something was lacking in braking power and in later production they went with two. Wish I had that on my Toyota Tacoma! 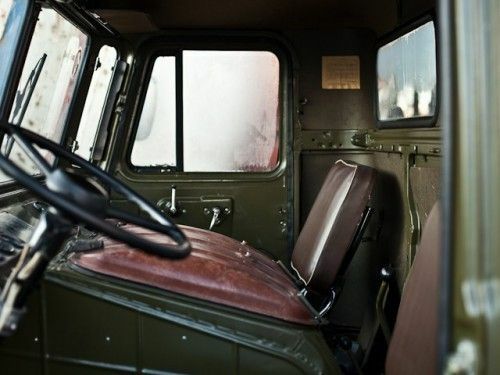 Looking for additional details (especially colorful ones) to add to the GAZ-66 communications van. Can anyone shed light on what the object attached below the front bumper might be? If I had to hazard a guess I would say it was a "hot stick". Electric utility workers use them to handle live electrical wires and breakers. It would consist of an insulated pole, handle on one end with an actuator and a hook or mechanical pincher on the other. 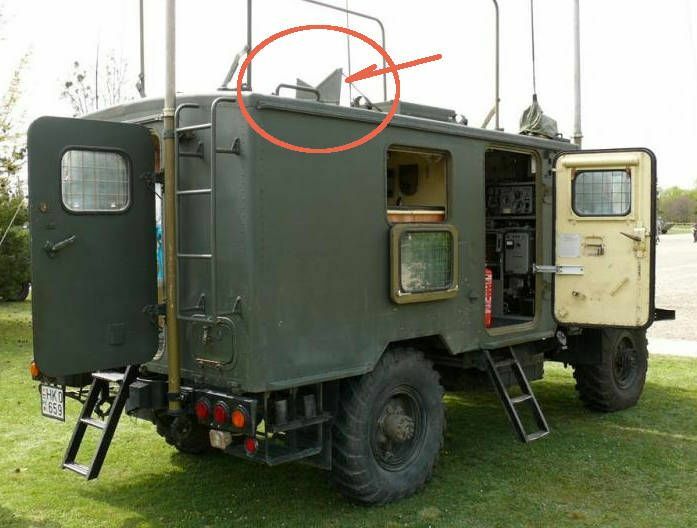 In this case it could be used to adjust "hot" antenna while not interrupting radio transmission. ?????? We have another Cincinnati based IPMS show coming up this weekend so hopefully his search will fair better this week. I couldn't find nothing about the bar. What about it being a spray arm? The black&white strips of paint will make it visible while in operation. Thanks Adam for the contribution of the additional photos. 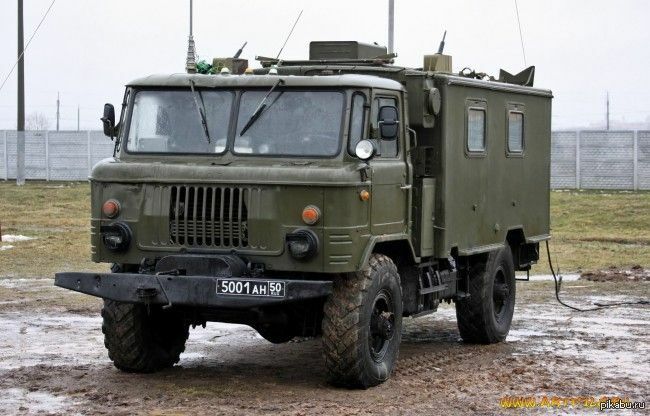 One thing I noted on the radio van shown there: The large telescoping antenna and it's associated mounts on the front corner/passenger side of the shelter body are sure going to make it difficult if someone ends up needing to get to that spare tire! 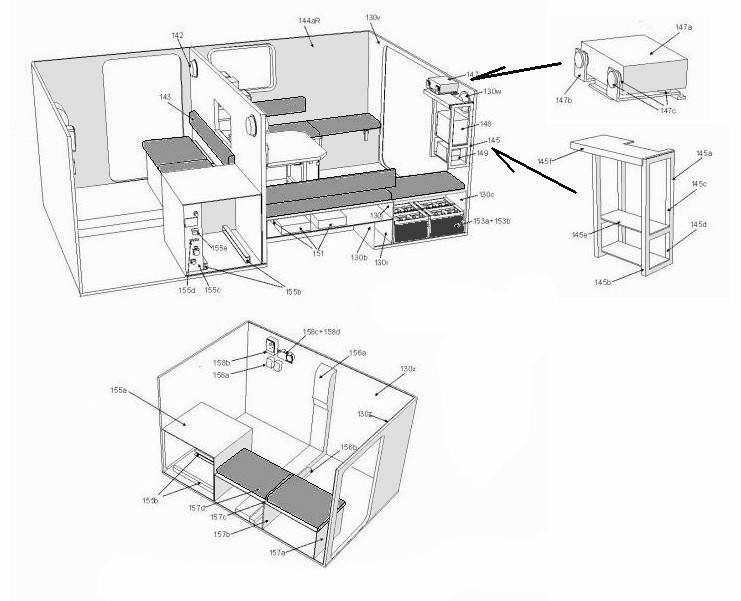 I will make good use of these interior drawings some day! 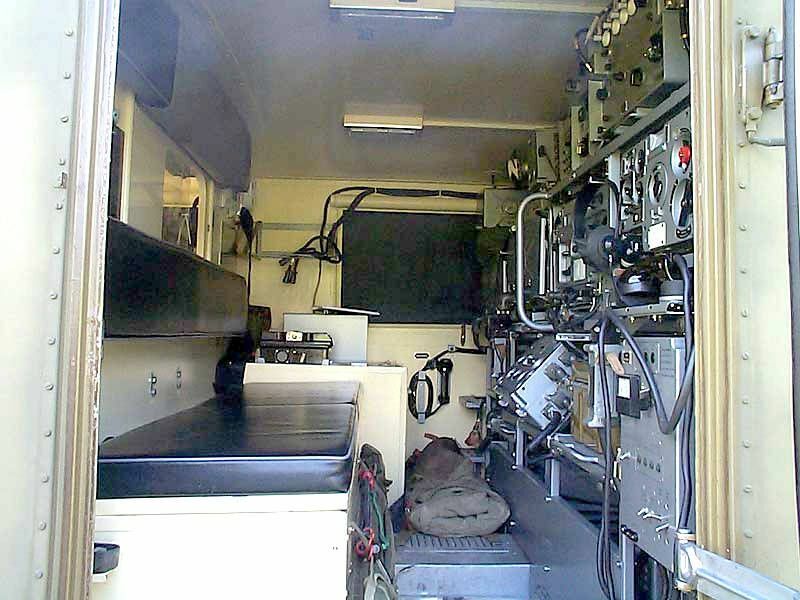 The drawings make it look almost roomy -until you get all that radio gear in there! I suspect this part you remember all too well. Spent once 4 days and nights on position with our radio truck. Angel you had mentioned six people being assigned to the 142 so I figured 3 sleeping in the shelter, 2 in the truck cab and the last person walking guard duty! Still there were always at least 2 people on duty(1 Radioman and the NCO/Officer). Angel, not trying to put you on the spot or anything but I am looking for additional roof details to dress up the top of the radio box. Would you happen to know what these triangular panels are or what they store? 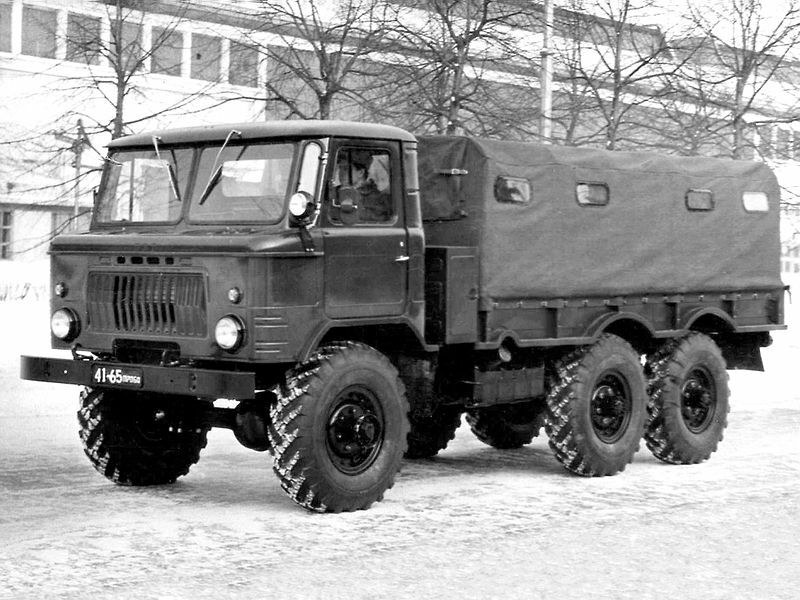 The vehicle has Hungarian registration plate and the box is DF-3 type. Our Deymos box was K66H and it didn't have this shape on the roof. 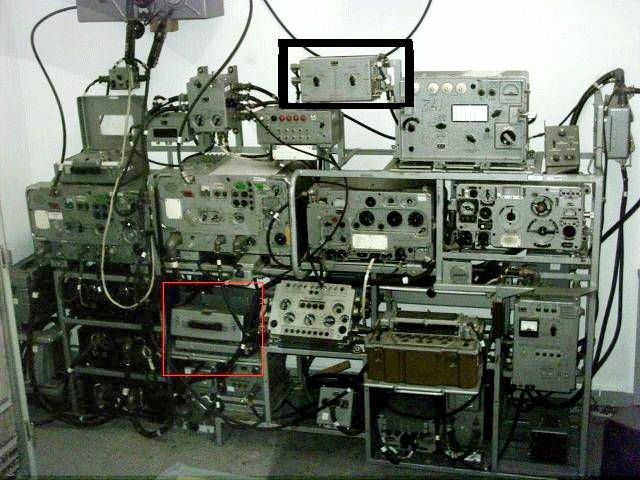 The frames are zenith radiating antenna,for operation they were raised by hand and locked in place with supports(one is visible on the picture).They were used as radiating device for R-130 HF transmitter and could be used both on the move and while stationary. 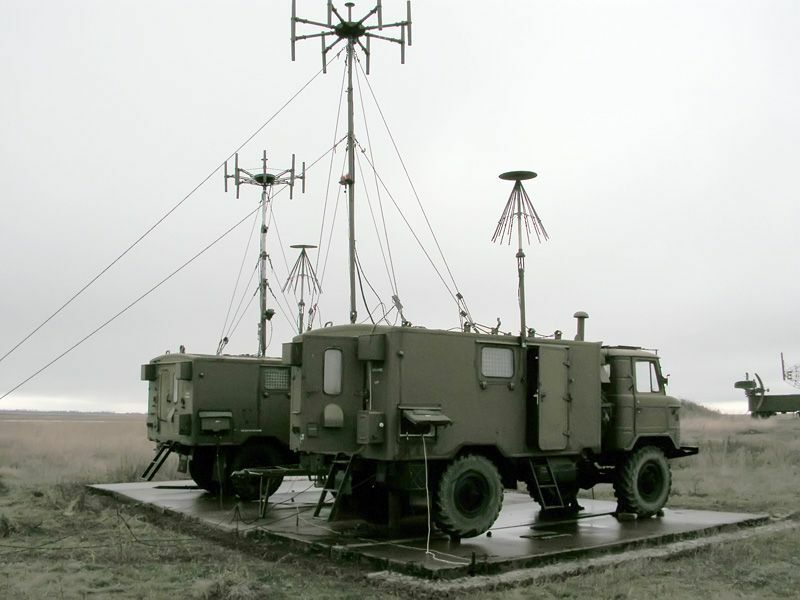 The long anntenas situated on both front corners of the roof are whip antennas.They have different lengths-the right one is 4,0 m., the left one-3,4 m. long.Both antennas could be raised from within the box and could be coupled with each of the transmitters(R-130 HF,R-111 UHF and R-123 UHF) depending on the distance of communication.These antennas were also used both while stationary and on the move. Rule of thumb was to use simultaneously as less antenna as possible, because of their interference.